The Grand Celebration cruise vessel has renewed its agreement to sail to Grand Bahama, with scheduled trips from West Palm Beach resuming December 24. The introduction of a second vessel, the SS Grand Classica is scheduled to begin cruises to the island in April, 2018. 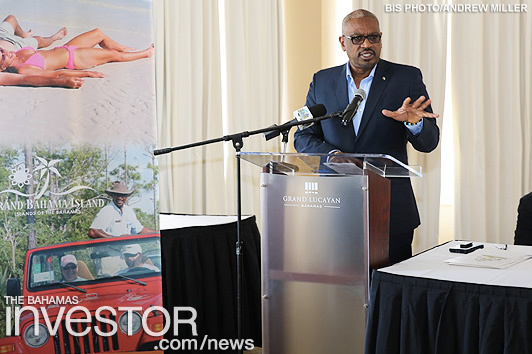 Prime Minister of The Bahamas Dr Hubert Minnis was at the agreement signing between the Government of The Bahamas and Bahamas Paradise Cruises held at the Grand Lucayan resort last weekend. The Prime Minister said that he was pleased to be present for the occasion, adding that the re-launch of the service coincided with the government’s efforts to revitalise the Grand Bahama economy. Minister of State in the Office of the Prime Minister, Grand Bahama, Kwasi Thompson, described the day as “very important” and added that things are moving forward on the island. 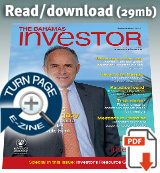 He said that “next year may prove to be one of the most significant years for Grand Bahama.” There are a number of stipulations the agreement includes: the use of businesses in Grand Bahama by Grand Celebration and Classica when possible; employment for Bahamians; and funding of training for those Bahamians. Oniel Khosa, CEO of Bahamas Paradise Cruises, said that the company has been cruising to The Bahamas for the past 12 years, beginning in Nassau for seven years before moving to Grand Bahama. The service provided, he said, is significant because even though the ship is not the largest, bringing visitors to the island every other day will have a significant impact on tourism. With the introduction of the new ship next year, there will be a ship in Grand Bahama every day. This means, he said, people who travel their vessel know that Grand Bahama is their only destination. 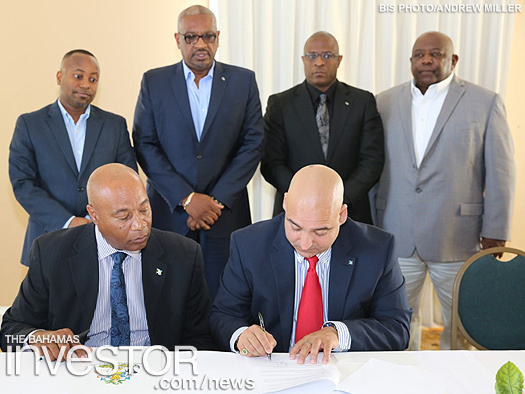 Also present during the signing were: Minister of Youth, Sports and Culture Michael Pintard; representatives from the Ministry of Tourism; senior government officials and industry partners. For the third consecutive year, The Bahamas has been named the Leading Luxury Island Destination by the World Travel Awards in the Caribbean and North America Category.